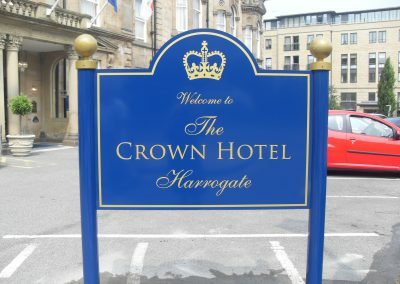 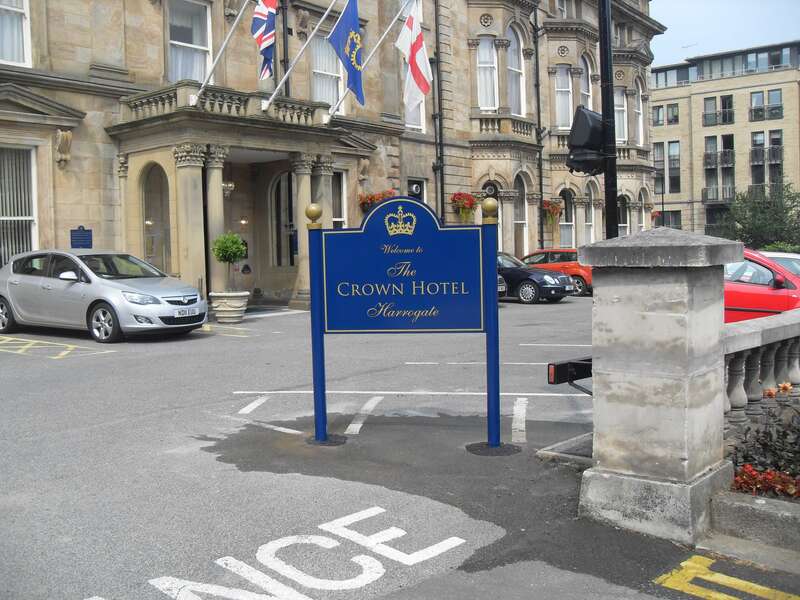 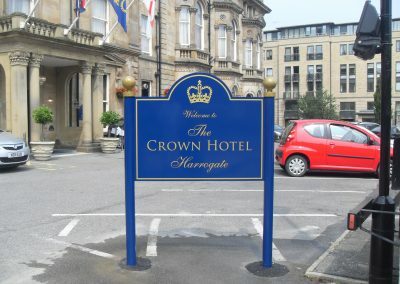 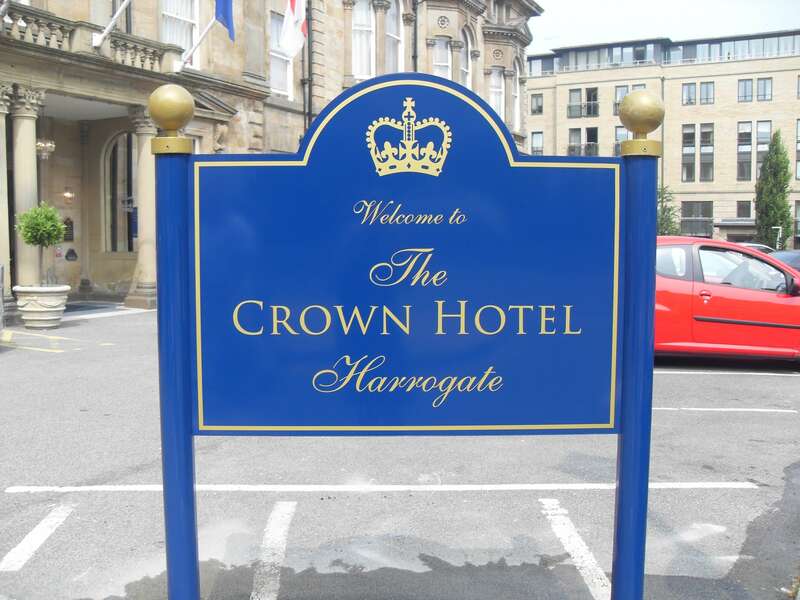 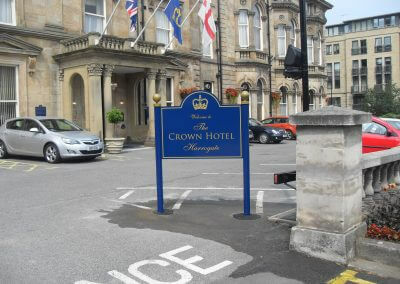 We were approached by the Crown Hotel Harrogate, to design, manufacture and install a post mounted main entrance sign. 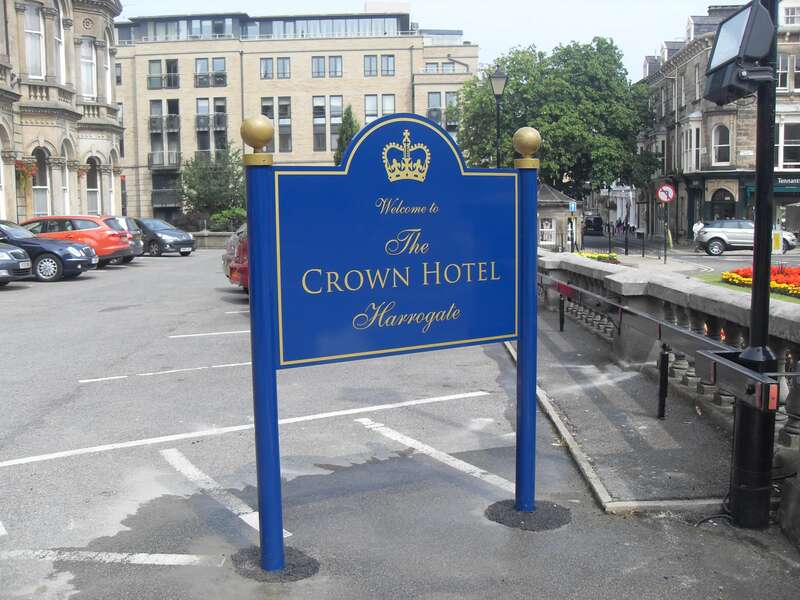 The sign was manufactured using a monopole system, which was powder coated in house where we ensured the colour matched the companies branding. 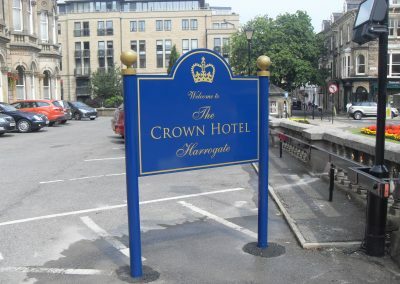 Below are pictures of the sign we installed for The Crown Hotel.